Environmental, Health and Safety News: Did space storms drive riots, wild markets??? Did space storms drive riots, wild markets??? Everyone is pointing fingers -- at blundering politicians, hooded thugs, disaffected youths, bumbling police and greedy bankers -- but could the cause for all the madness really be the star at the center of our solar system? There isn't a lot of evidence pointing to little green men involving themselves in Earthly affairs, but the sun has been throwing bursts of highly charged particles into space in a phenomenon known as coronal mass ejections or CMEs. Three large CMEs prompted U.S. government scientists to warn of solar storms that can cause power blackouts and the aurora borealis, or northern lights, caused by disturbances in the Earth's atmosphere, have been spotted as far south as England and Colorado, NASA said. 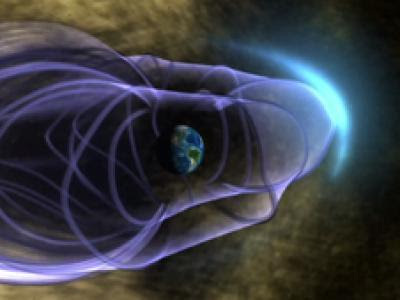 "Earth's magnetic field is still reverberating from a CME strike on August 5th that sparked one of the strongest geomagnetic storms in years", website SpaceWeather said. Some academics have claimed that such geomagnetic storms can affect humans, altering moods and leading people into negative behavior through effects on their biochemistry. "Unusually high levels of geomagnetic activity have a negative, statistically and economically significant effect on the following week's stock returns for all US stock market indices," the authors found in their report.